I started CU’s Super Smash Brothers club during 2013’s spring semester. It’s pretty well known that Super Smash Brothers players are notoriously picky about the input lag on monitors. Three of the consoles most commonly used (the Nintendo Gamecube, Nintendo Wii, and Nintendo 64) all output video via VGA standard definition cables. When playing on an HDTV, a process known as upscaling occurs where the tv must convert the video information to appropriately match the tv’s native resolution. This process usually takes a few fractions of a second to occur, which by Smash standards is an eternity. To avoid noticeable input lag, most Smash players play on old CRT tv’s. These tv’s offer minimal input lag, and narrow variation from tv to tv. To help bolster attendance at CU’s Super Smash Brothers club, I started buying CRT’s and hauling them to campus every week. At my peek I had 11 CRT’s that I brought to campus every Thursday night. So, when this upcycle project came around the first thing I thought about was how to use up one of the tv’s i still have (I still have three at home). To be honest, I really want a television aquarium, but can’t quite get myself to commit to taking care of some fish for the foreseeable future. So instead, I decided to build a tv terrarium – plants I can manage. I googled “Television Terrarium” and stumbled across enough cool looking projects to decide to move forward with the project. While I liked a lot of the terrariums that I saw online, I felt like there was still some stylistic freedom to be had with the idea. There’s a pretty well-defined aesthetic associated with 90’s-00’s tech. A lot of the circuits in electronics built during this time are printed on huge green and beige boards, and have huge resistors, capacitors, transistors, mosfets and such neatly labeled and organized into specific zones. Taking apart the tv (it was one of those really cool tv/vhs combo units) I thought it would be cool to incorporate some of this aesthetic into my project. I thought the strict geometry of the circuit components/boards would contrast nicely with the curves of plants inside. I wanted the final project to look like a prop from one of the new Jon Rafman/Daniel Lopatin videos (google “Sticky Drama” if you’re interested). It was pretty important to me from the get-go that the final product be clean, sustainable, and maintainable. I wanted to incorporate some lights to create a piece which will add some ambience to our living room, but I knew that if I wanted to keep terrarium indoors, it has to keep the surrounding area clean. I don’t want any dirt or water leaking out. I also wanted to create an environment which will sustain some plant life. Finally, it has to be convenient to care for the plants. Functionally, I feel like achieved all of these goals. To make sure that no dirt/water would leak out, I lined the inside chassis of the tv with foil. Initially, I was a little worried about the possibility of the foil tearing, but the majority of it lies flush to the chassis and is packed from one side by dirt. I also made sure that the final soil level was well below the screen opening. To ensure that all of the flora inside don’t die in the next few weeks, I specifically picked out some low-light plants with small space requirements. While I’m hoping they grow to fill up the interior a little more than they do now, they should be able to maintain some health given the unique environment. The plants really only need to be watered, so I decided to leave the front of the tv open so that I can reach in and pour some water inside (a cup works just fine). Artistically, the piece still feels like its lacking. I think when the plants fill out a bit more, it’ll pull the project together a bit more, but it still feels like something is missing. My roommate had the idea of adding some worn down army-men figures (maybe melted?) to create a post-apocalyptic battle scene inside. I think its a pretty good idea, but haven’t been able to find any army men off the shelf, so I might order some to try and fill the space inside. I’d like to somehow incorporate some more of the circuit elements inside. I think that adding some of the wires that I cut out of the assembly to the inside might add some flavor, but I haven’t been able to figure out anything satisfactory. Since I’ve really only worked through one iteration, I’d like to take a shot at making a more polished, aquatic version. I’ve since learned about “aquascapes” which are these bonsai-esque aquatic plant habitats (bonus: no fish). I really dig the minimal design of a lot of these spaces, and think it would look really cool in an appropriate tv. If I can find a tv that I think I can refurbish enough, I plan on trying to build one of these this semester/summer. My design process for this project was pretty scattered. I really wanted to get my hand on the project and get it built so that I could figure out how all of the pieces might fit together. This being said, I haven’t made any huge revisions. I’d really like to re-paint the tv, figure out how to incorporate more circuit elements, and find a better way of dissipating the light from the top of the tv (right no the lights are just hot glued to the ceiling). Whenever I encountered an issue, I ran with the most convenient fix available to me at the time. Our group’s design plan was pretty linear. I’d say that my process had a lot more starting points which all converged into a final product. What to put into the tv, how the tv should be decorated, how to light the tv, which plants might look best vs which might survive best, were all small projects in and of themselves. Seeing the bigger picture now, I think I could refine each of these components to develop a much sleeker product. Great combination of nature and technology, came out really cool looking! I love the blend of nature and electronics. It reminds me of old-school sci-fi stuff. Nice project! This is a really cool idea and aesthetic. I like the use of the circuit board in the back, it looks kind of like a zombie apocalypse piece. I think the tinfoil wrapped around the inside of it looks strange, does it reflect the light enough to help the plants grow? Also, how did you decide on the purple LEDs? The lights create an awesome color effect. I enjoyed your different ideas for converting these old TVs. It will look so cool once the plants start to fill this up. Cool melding of junk and nature in a kind of jungle feel. Did you consider hiding the lights in the bottom so that the lights appears to come out of nowhere? I am very impressed with your creativity and the color of the lighting. It combines the look of the TV and nature. I really like the addition of the aluminum foil! It adds a cool lighting effect. It would be cool if you could control the light with the TV power button! Interesting use for an old TV. I like it! It kind of looks like a martian habitat or something. Certainly more compelling than a functioning TV. Sufficiently random. Good call not committing to a living sentient being. Nice idea, one that’s near and dear to myself as well as I have a Lizard who I made a cage for and was thinking of putting live plants in. Really incredible aesthetic, I very much enjoy terrarium application. It turned out great. I like the old tech look – good choice going with the Christmas lights. I’d like to build a terrarium like this too – thanks for the tips on how the the screen out! There is nothing wrong with owning and loving your fish! I like the older tv, and the ratty tech aesthetic too. It gives a new age road warrior kind of look. I love the computer wasteland aesthetic you achieved. Their is definitely a lot of room to expand this feel more. To make it usable for real plants can you add more lights to help things grow? The foil inside is a nice touch, I think it could be cool if you hung small planets inside for decoration. I love that you had 10 of these old tvs at one point. Your disassembly process is really funny to hear. I like the aesthetic of the the circuit board and plants and life. I am wondering what drove the choice for the red lights? Overall it looks pretty good and it would be cool to do with a bigger tv (maybe dealing with the lead and mercury a bit differently). Great start, now take it further! Add the spaceman and surreal objects! Way cool idea of using an old tv cavity. I like how hollow it looks, looking into a tv from the screen is actually a weird thing, we’ve all been so accustomed to not being able to see inside its a little trippy. I really like that you left some of the original circuitry. It makes a great juxtaposition of nature and technology. It would be sweet to use RGB LEDs. I was thinking that it would also be cool if the circuit board had surface mount lights that just randomly blinked or something. The warm pink lighting adds a nice touch. You could get a small lizard to scurry around in there! The project looks beautiful. I wish you had gone for a little bigger decoration to the inside of the TV or do something to the frame but nice work over all. While you encountered quite a few obstacles and problems to solve through this process, the end result is really interesting. If you put a tray in the bottom to hold water, you could place a screen on the front and water it through the VCR! It looks great! I like the tech theme you went with for your design! It would be really cool to expand on this and make more of these with those other old TVs! I like the critique on this is a more natural thing to watch than the idiot box. It has a wonderful glow and I love the reflections. Interesting use of old CRT television, what do you plan on growing? Will be interested to see down the road the plants filling the set. Interesting apocalyptic/ alien feel to the design. This terrarium is a good, if hard to execute, idea. It’s good how you considered so many aspects of the limitations of the design and went around them. It would be pretty cool if the inside was really full of plants and organic items. Nice job. This is definitely a unique terrarium. Something smoother than aluminum foil might look good for the interior. Interesting combination of natural and electronic aesthetics. This would have been an amazing fishtank! I like that you brought the electronics component into the inside of the TV rather than just plants. It brings that salvage feel that you were talking about into play. Also a cool use of colored lights rather than traditional white. Overall very cool! That is a cool aesthetic. The tinfoil plus lights combo was a cool effect. This project seems slightly dangerous for your health. The circuit boards was a cool added effect as well. Nice job, I like how the display is like some holy worship of electronics. Really creative use of the red lights. I like that part of your inspiration was to expand on the missing freedoms in existing terrariums. I think you should get a lizard to live in your TV. This is such a cool project. I like the lighting inside it and the process you used to get to your final design. 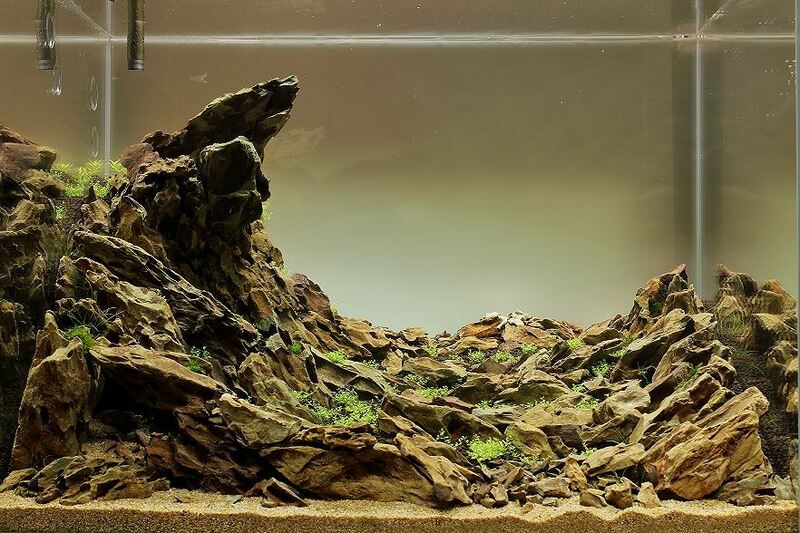 I think the idea of a terrarium, even though an aquarium would be cool as well. A cool result, but the process definitely sounds like it could be refined! Wow I’m impressed by your knowledge of super smash bros. Sounds like a pretty solid club. Anyways, in terms of your project. It’s pretty impressive and has a pretty nice retro tv look to it. Plus your presentation was entertaining to say the least.